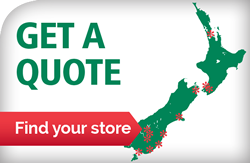 TyreLAND are one of the leading independent tyre specialists in New Zealand. Our obligation is to our customers, not to a big international tyre manufacturer, nor to a distant head office. TyreLAND are tyre experts with a strong focus on customer care. We work with leading edge equipment and the world’s leading tyre brands. 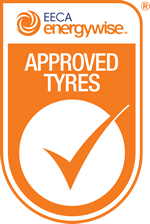 Most importantly, we listen to and understand our customers’ needs and budget before recommending the best tyres for the job. Our VIP programme provides TyreLAND customers with savings and extra special tyre care and is available across all of our branches. A small TyreLAND sticker on the vehicle’s rear window will tell us at a glance that you’re a TyreLAND VIP. And with branches across the country you’re bound to find a TyreLAND at the heart of your community. At TyreLAND we pride ourselves on being the same but different. While you’ll find the same level of expertise and friendly service no matter which branch you visit, you’ll also find that each TyreLAND branch has its own proud history and unique character. Whether it’s a family owned city branch servicing tyres for golf carts and forklifts or a rural branch with a passion for vintage cars, TyreLAND is here to help with all your tyre needs.